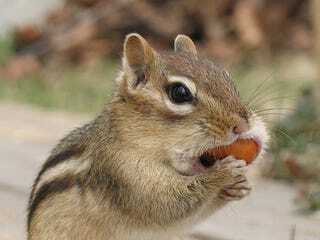 Why Do Chipmunks Look So Cute When They're Stuffing Their Faces? It's just adorable. And when you line up 50 pictures of chipmunks stuffing food into their mouths, the cute becomes almost unbearable!